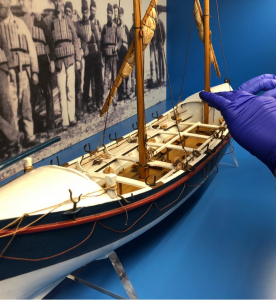 In March 2019 Cornwall Museums Partnership and South West Museum Development hosted the annual Cornwall Heritage Awards to celebrate and champion the amazing work that’s taking place at museums and heritage organuisations in Cornwall. The Family Friendly Award celebrates projects and activities in museums that create excellent all-round family visits. Padstow Museum’s move to a new location in the town has greatly increased the accessibility for families visiting the museum. The new museum has level access for pushchairs, a pushchair parking space, and new interactive displays where families can explore digital photographs, learning together to answer questions about the images. 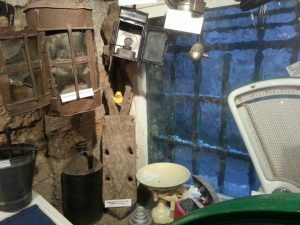 Lostwithiel Museum’s Toddler Trail is a free activity helping families with young children to engage with the museum’s collection. Families must explore the museum to find the 12 naughty little rubber ducks who have escaped the towns duck race and are now hiding in the museum. There is a quiz sheet for the guardians to fill in for the children as they spot the 11 ducks and one disguised as a red apple. When all ducks are found each child receives a reward sticker. Newquay Heritage Archive and Museum have created a series of 10 Cornish Project Cases to engage visiting families to learn about various Cornish themes including local minerals, Cornish places, and learning about the Cornish language. 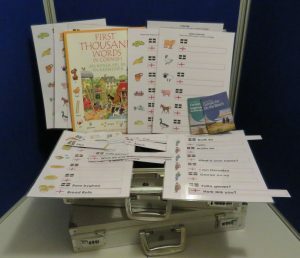 Encouraging teamwork, each case has all the necessary books, information, and equipment for two to three people to complete tasks and learn something new about the theme of the case.